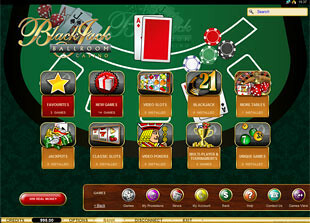 Blackjack Ballroom Casino has been online for over a decade. 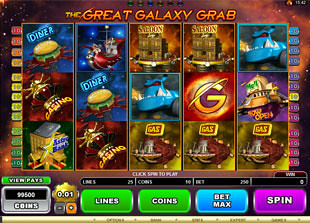 With such a long way to the leading positions in the online gambling market, this online casino has enough to offer you. 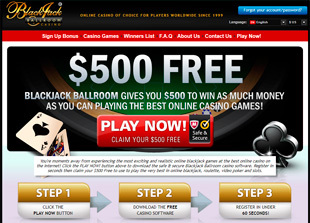 Just start playing with $500 Free to find out what the advantages of Blackjack Ballroom service are. 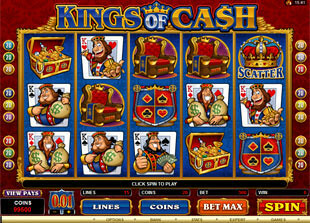 Play 550 games with free cash and win the maximum possible prize of $100. To withdraw your awards you need to win something over presented money by 60 or 30 times. You also need to make the minimum deposit of $20 to be allowed to claim the package. 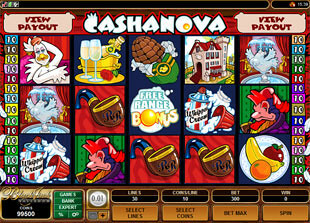 Play over 550 games presented and collect VIP Loyalty Points. You will receive from 1 to 3 VIP Loyalty Points for $10 wagered. The number of points granted depends on the casino games you play with real money. You need to collect 1,000 or more VIP Loyalty Points to convert them into real cash. The good thing is that you can combine points from different online casinos that are the members of CasinoRewards program. 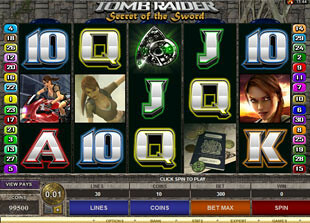 Play such popular free spins slots as Private Eye, Hot Ink, Big Kahuna, Hitman, Tomb Raider Secret of the Sword, Thunderstruck 2, Planeta Exotica, Mad Hatters, Moonshine, etc. 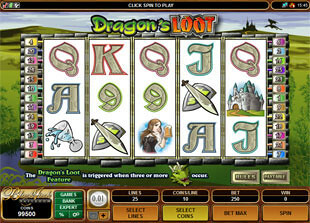 With a great collection of slots you can choose among various formats. 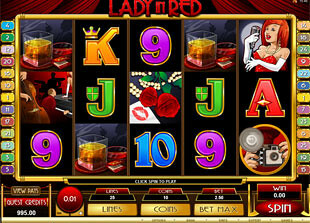 Play classic 3 reel and multiline 5 reel slots as well as slot machines with bonus feature and progressive jackpots. You can use such payment methods as MasterCard, Moneybookers/Skrill, ACH, Click2Pay, iDeal, Maestro, Visa, UseMyBank, Neteller, Click2Pay, EcoCard, ClickandBuy, Entropay, Direct Bank Transfer, etc. The minimum withdrawal possible is $50. If you want to cash out your winnings with such payment options as Courier checks or DBT/WIRE, you should make the minimum withdrawal of $200. It may take from 5 to 7 working days to withdraw your winnings. To contact Blackjack Ballroom casino customer support you can 24/7. Use Live Chat, email support@blackjackballroom.com or toll free phone numbers provided that are unique for each country. Visit customer support page on the site of the online casino or through the casino lobby to find the phone numbers for Germany, Denmark, Italy, Canada, the UK, etc.